My life is full of cords, thumb drives and entangled ear buds – I was pleased to find a number of ways to personalize my electronic space this week. 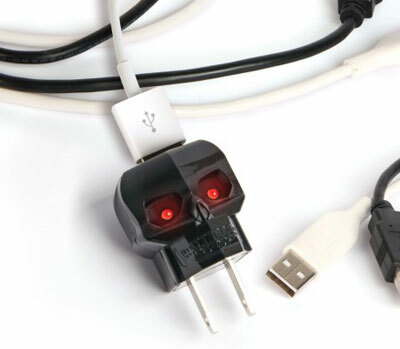 GamaGo has a charming black skull with red eyes to provide your usb charged items with a bit of skully flavor. Eyes glow red when you’re actively charging a device! Find yourself using a usb pen drive on a daily basis? Add a little robot love with a 3-d printed robot “sleeve”. 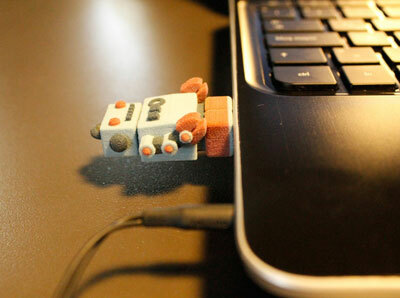 Printed in colored sandstone or plastic, the creator also offers the same robot in a more robust material (metal) suitable for life on a keyring. 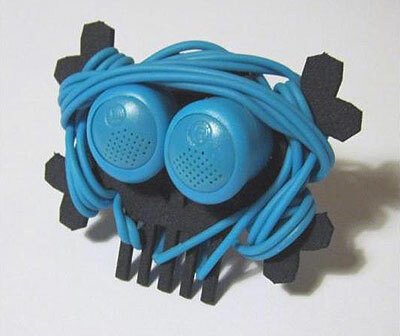 And check out the skull and cross bones headphone cord manager – it allows you to wrap up your ear buds for storage or to keep the cord length manageable while in use. Highly practical and nice to look at, you can choose from 6 different skull-tacular colors.